I recently was asked to diagnose and treat a young cat that was suffering from what appeared to be a severe chronic upper respiratory infection. The cat could not breath at all through her nose and struggled even with her mouth open. This cat had been treated for months by a local practicing veterinarian using homeopathy. The cat had never shown even the slightest improvement using the “remedies” prescribed, but no alternatives were being offered and no diagnostics beyond a routine physical exam had been performed. When I asked the owner of the cat if she understood the basis of homeopathy, it was clear that she didn’t. She seemed to thing it was some kind of alternative medicine that was much “safer” than conventional medicine. She didn’t understand the difference between holistic and homeopathic. Holistic medicine means treating the entire patient and can include conventional medication and surgery coupled with lifestyle and dietary changes. This is always a valid approach and a philosophy that we embrace at Bayleaf. So, what is homeopathy? Homeopathy is a medical philosophy invented by a German physician, Samuel Hahnemann, in 1796. It is based on his invention of the “law of similars”. He asserted that by taking a toxic substance that produces a symptom similar to the disease it is supposed to treat and then administering the toxin to the patient in diluted form, that the disease can be cured. Very interesting scientific sounding names are invented to describe these substances and make them sound medicinal. One of Dr. Hahnemann’s favorites, was a flu remedy called Oscillococcinum. The active ingredient in his flu remedy was duck liver. Fortunately, the dilutions used in most homeopathic “remedies’ are extreme. In fact, most of these homeopathic remedies do not contain even a single molecule of the original toxic substance. It has been calculated that patients would need to consume hundreds of gallons of the “remedy” to get to that one special molecule. When confronted with this logic, the homeopathic physician (veterinarian) states that the water has “memory”. I wonder why the poor cat wasn’t getting better! Thankfully, the cat’s owner was willing to give conventional medicine a try. I was pretty sure I knew what was wrong with the cat based on her symptoms. With the owner’s permission, I sedated the cat in order to perform a thorough examination of the mouth and throat. By exploring above the cat’s soft palate I discovered a nasopharyngeal polyp. These are growths that arise from the back of the throat. The polyp was blocking the nasal passages and starting to occlude the throat as well. Treatment is very simple. The polyp is clamped and removed at the base. Symptoms are eliminated instantly with no further treatment necessary. At Bayleaf, we believe in providing the best possible veterinary care using evidence based medicine. This means treatments that have been proven to be effective through scientific clinical trials. 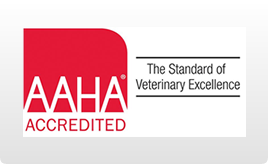 While we may not have all the answers, we will do our best to diagnose and treat your pet’s condition using proven medical and surgical principles. Stay tuned for more myth busters!